The Board of Trustees is responsible for the governance of the organisation. Our trustees are all women volunteers who have a range of relevant skills, knowledge and experience. 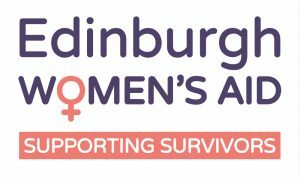 There are currently 11 Trustees who are committed to ensuring that EWA continues to provide support for women and their children who have experienced, or who are at risk of, domestic abuse. We currently have around 44 permanent female employees who provide emotional and practical support where it’s needed. We are all highly experienced in helping women and children recover from abusive relationships and to start new lives free from threat and fear. 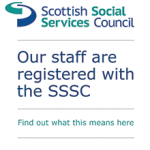 Our worker workers have the right skills, knowledge and values to do their role and are registered with the Scottish Social Services Council(SSSC). To be on the register workers must already hold or be working towards a job specific qualification. The SSSCCodes of Practiceset out the standards that workers and employers have to meet. If workers fail to meet these standards the SSSC can investigate their fitness to practise and if Edinburgh Women’s Aid fails to meet the Codes the Care Inspectorate can take action.